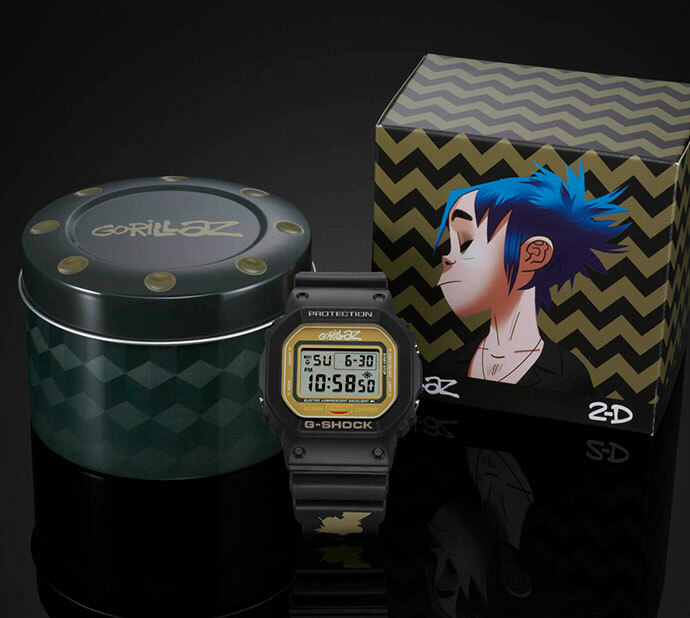 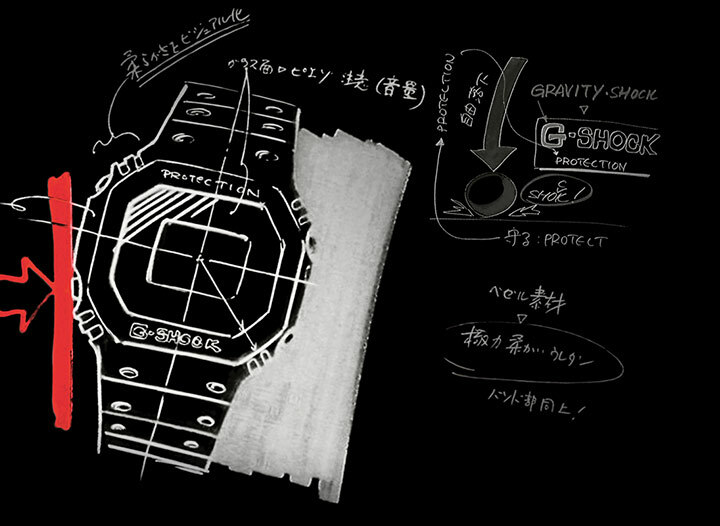 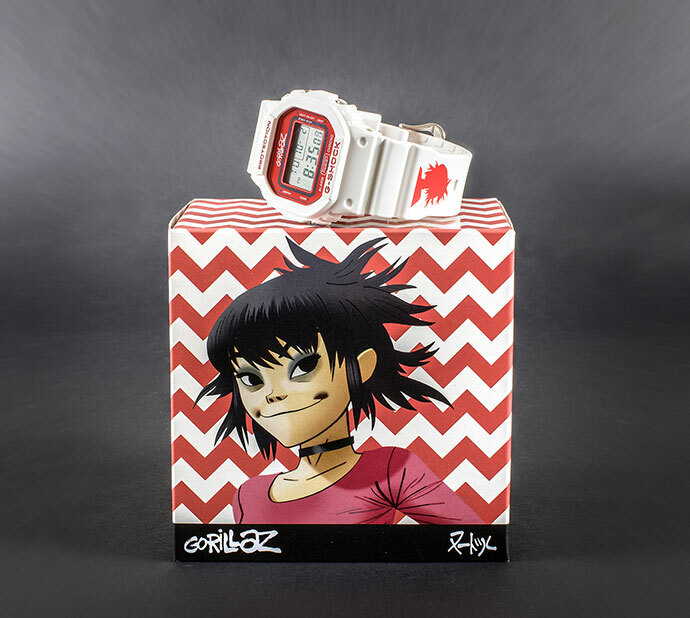 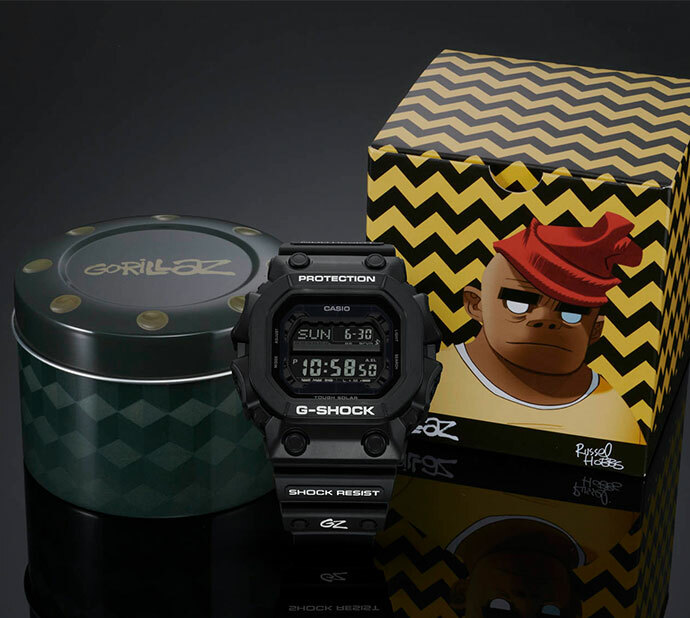 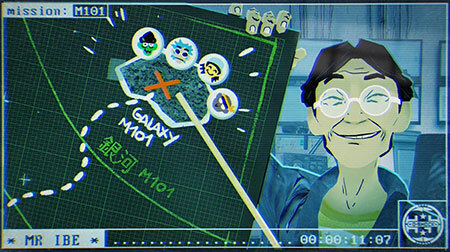 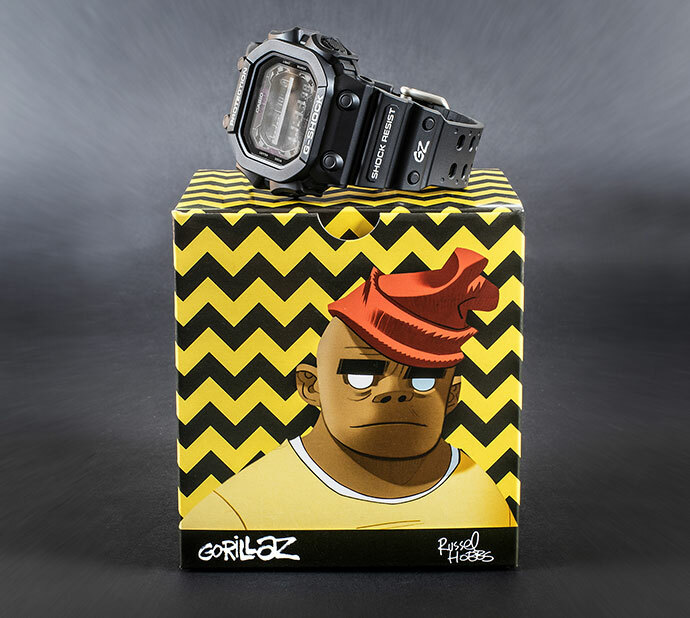 The GORILLAZ X G-SHOCK collection will be available to buy this winter, with more information to be revealed very soon. 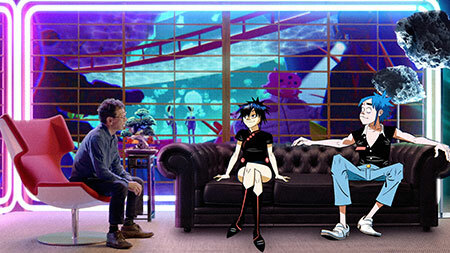 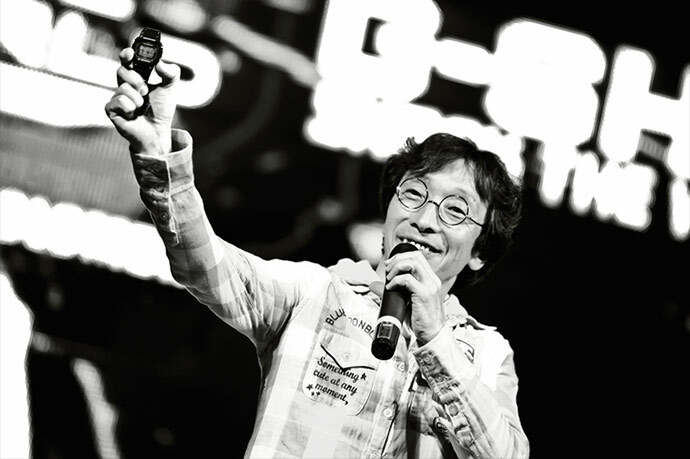 Sign up here to be notified on all the latest news about the collaboration. 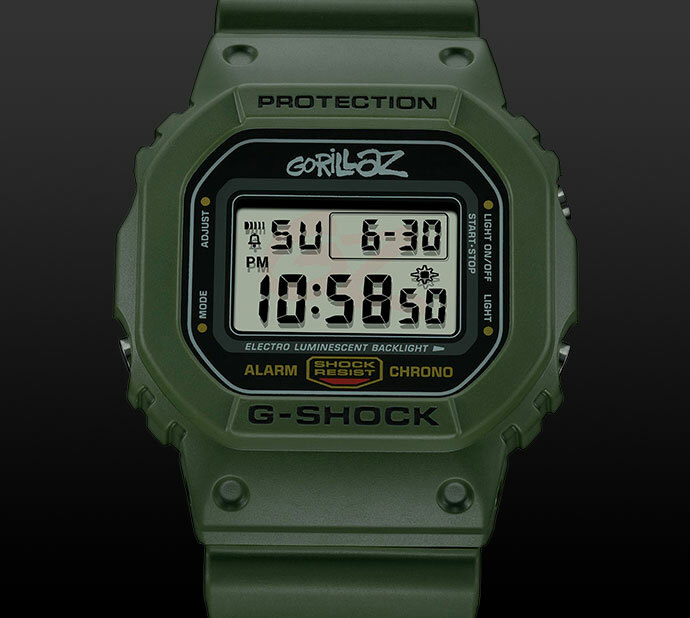 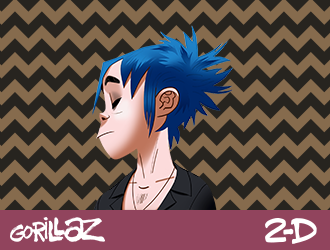 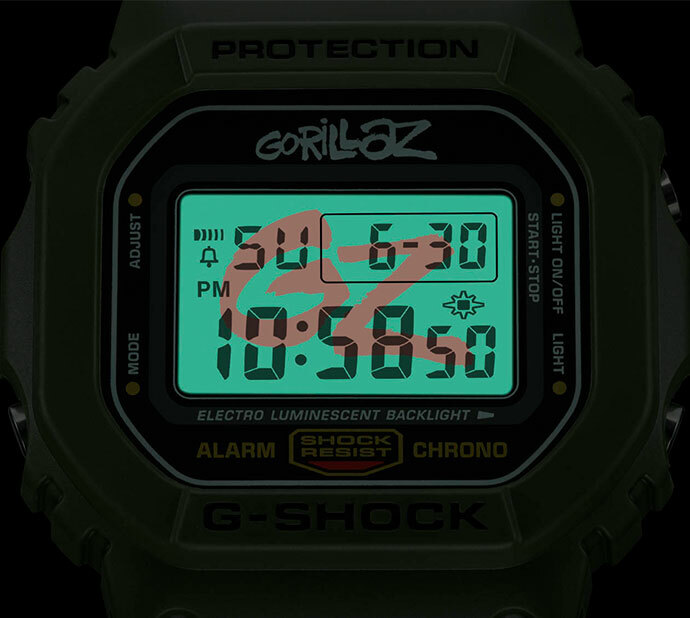 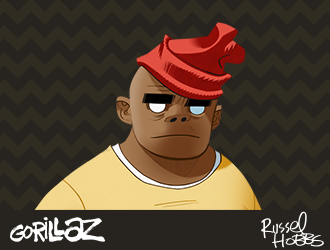 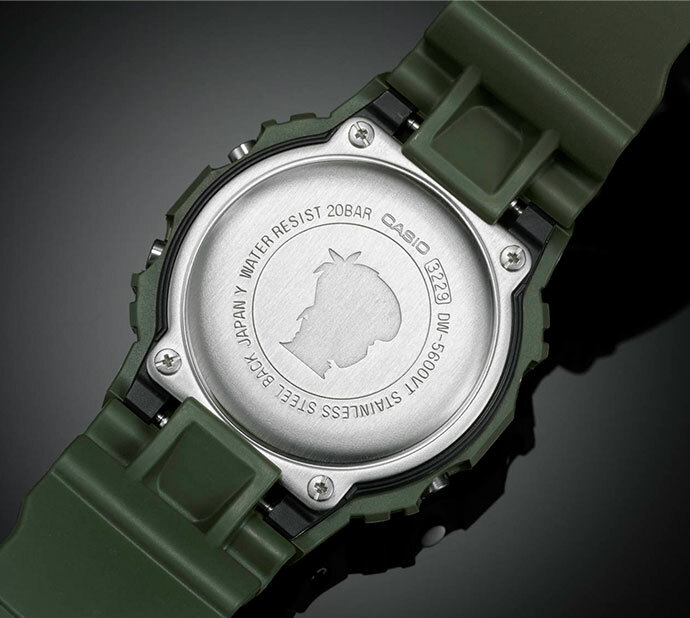 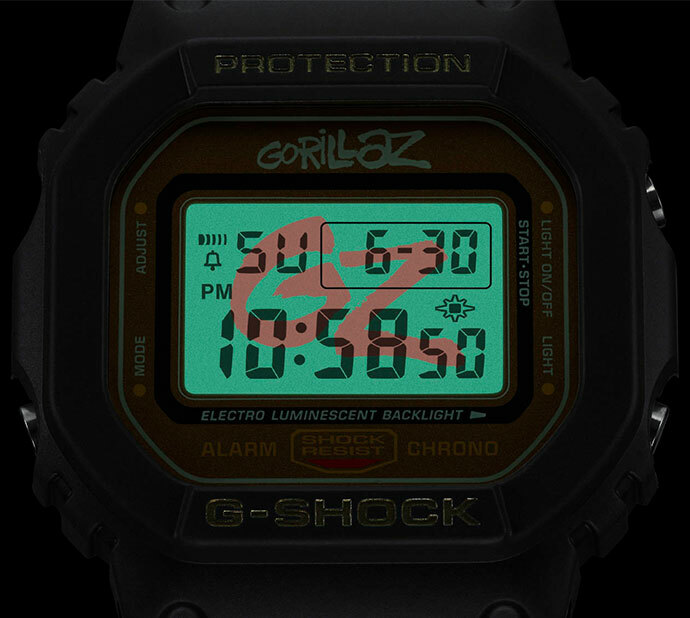 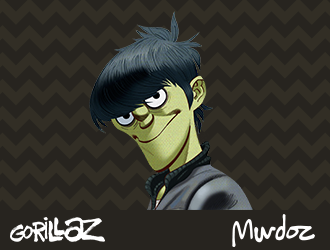 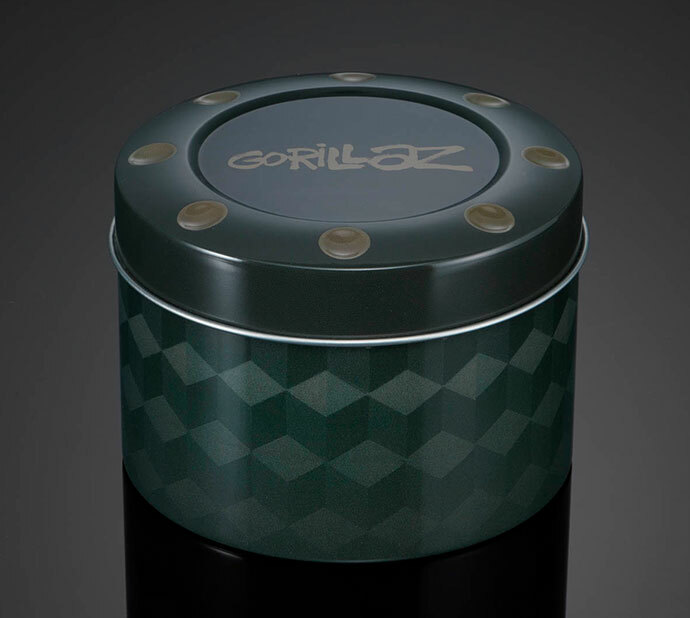 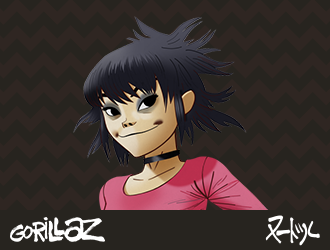 Russel profile and Gorillaz logo on the band. 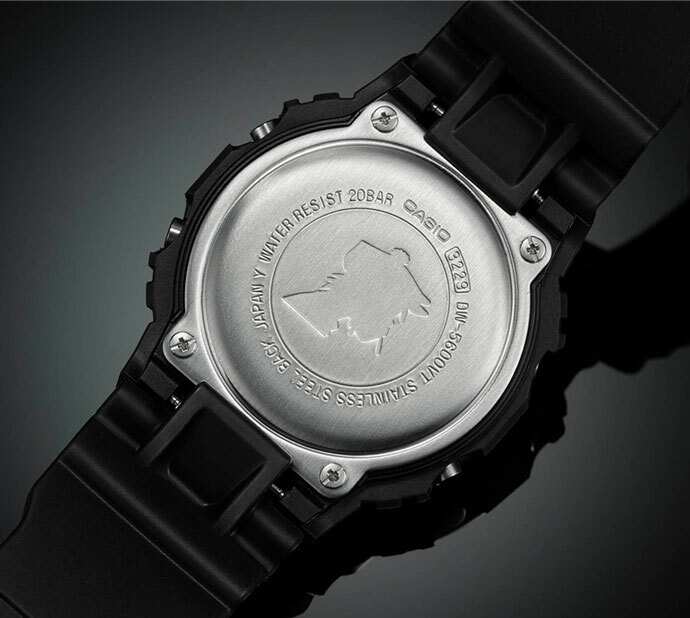 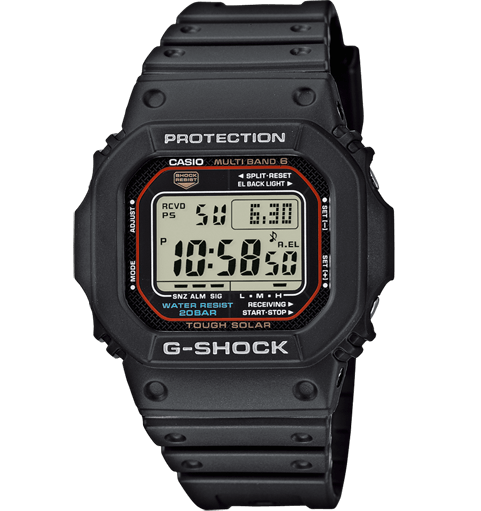 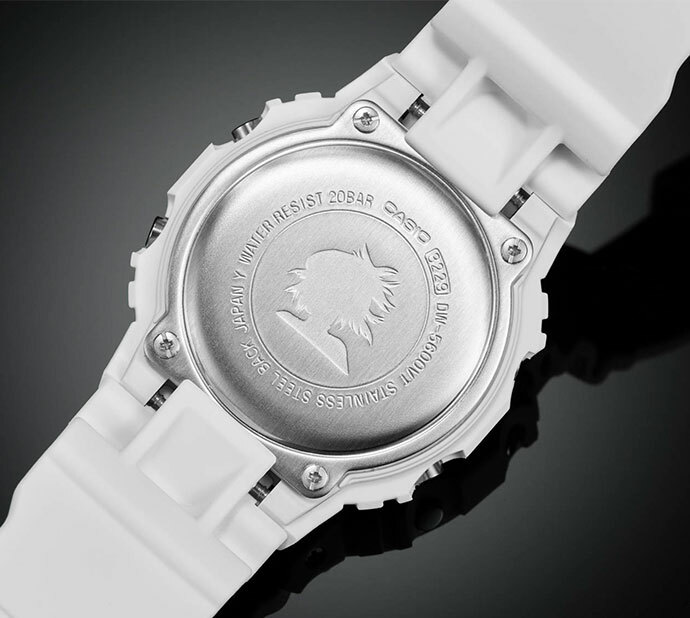 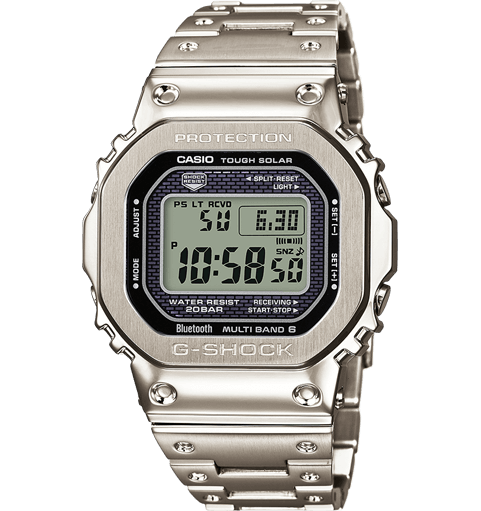 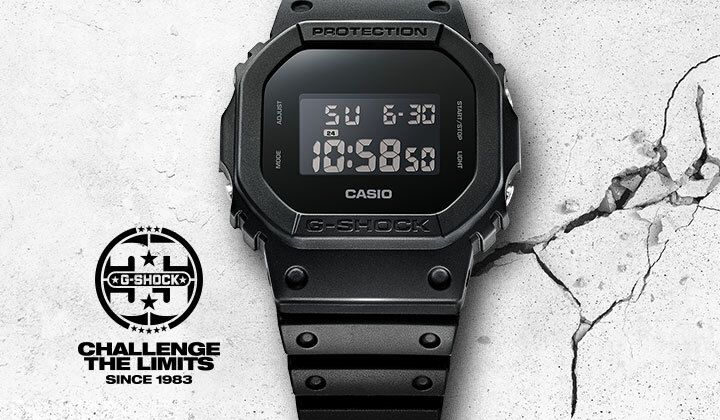 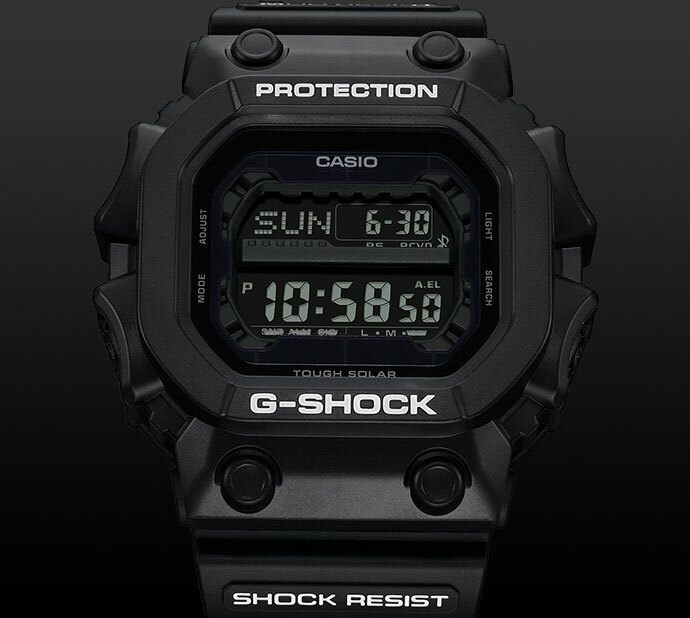 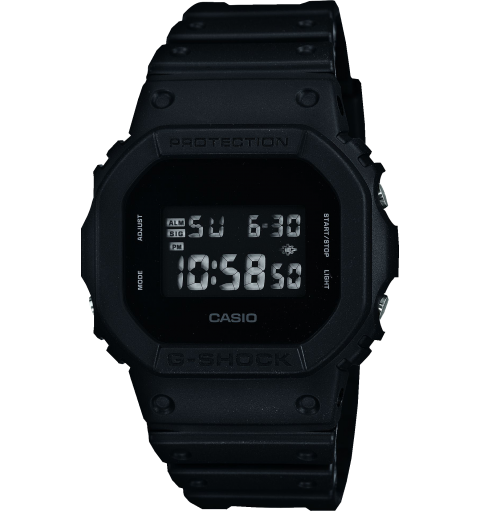 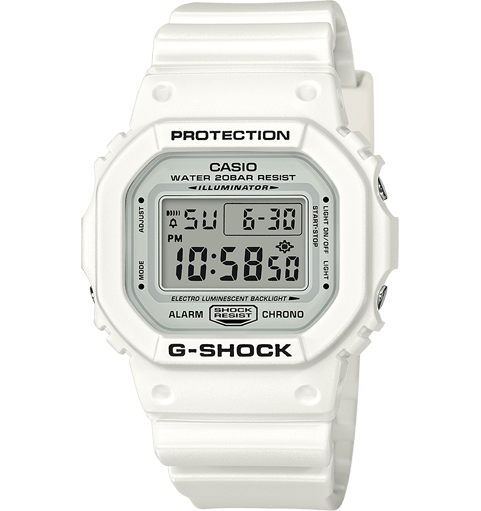 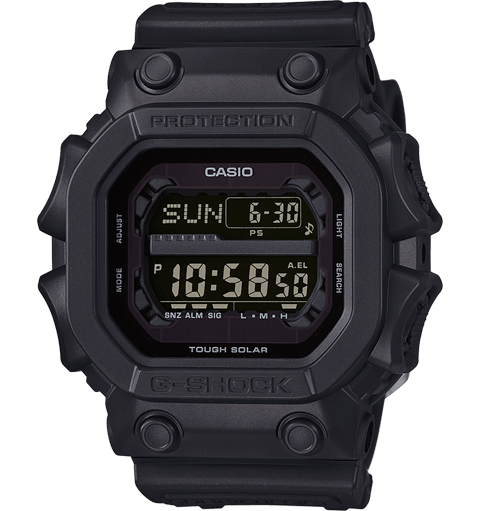 Please note: These models are very limited and will only be sold in some European countries exclusively in CASIO/G-SHOCK online shops and brand stores (view list). 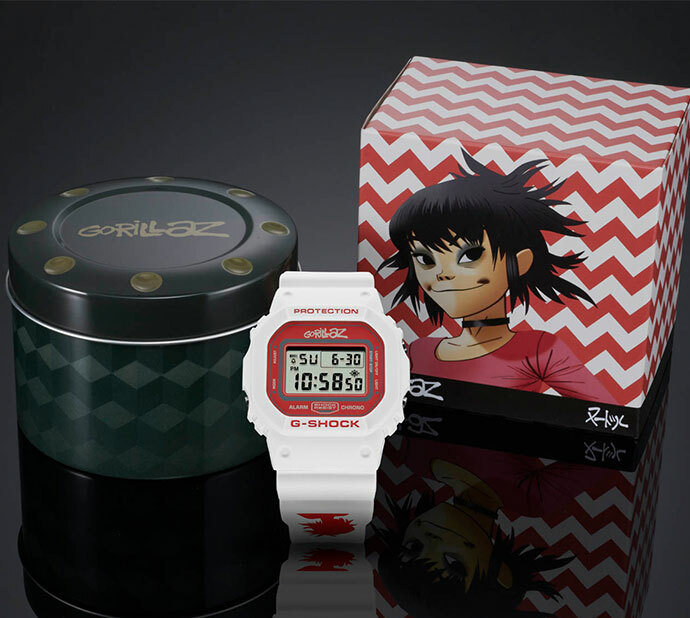 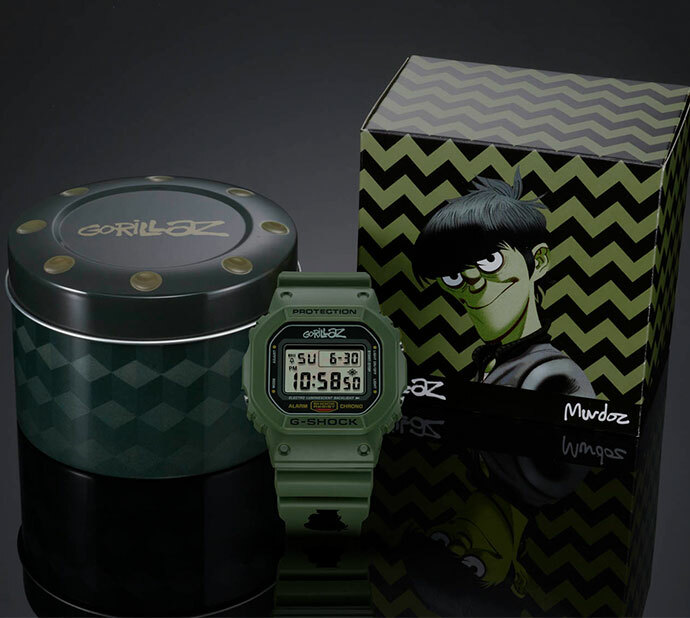 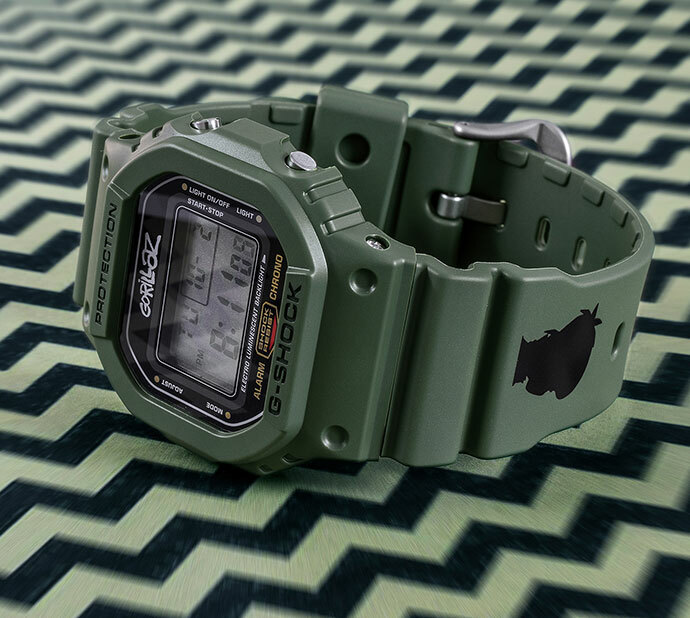 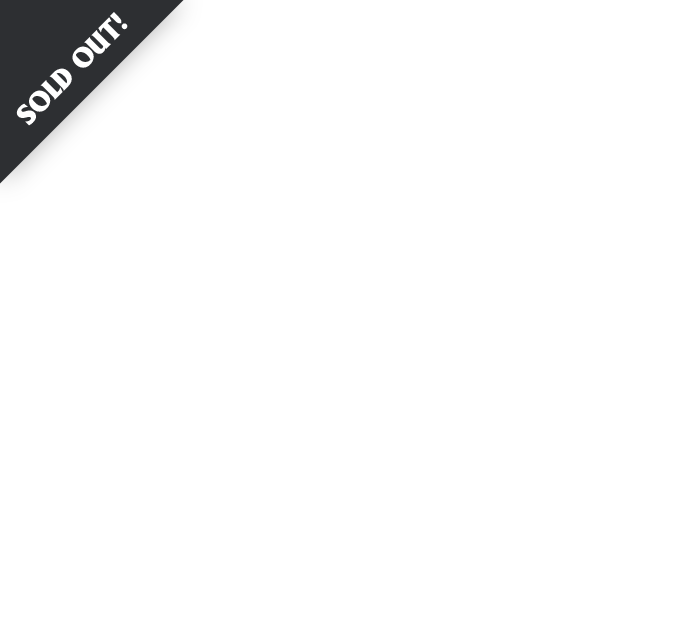 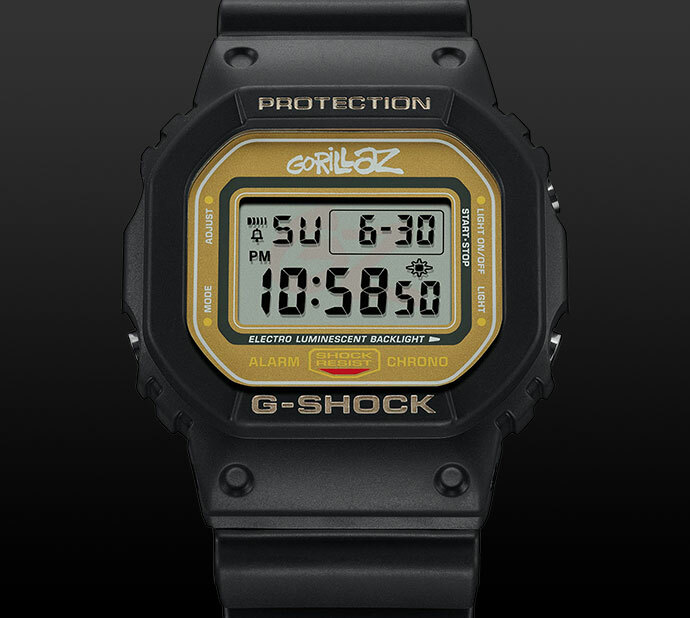 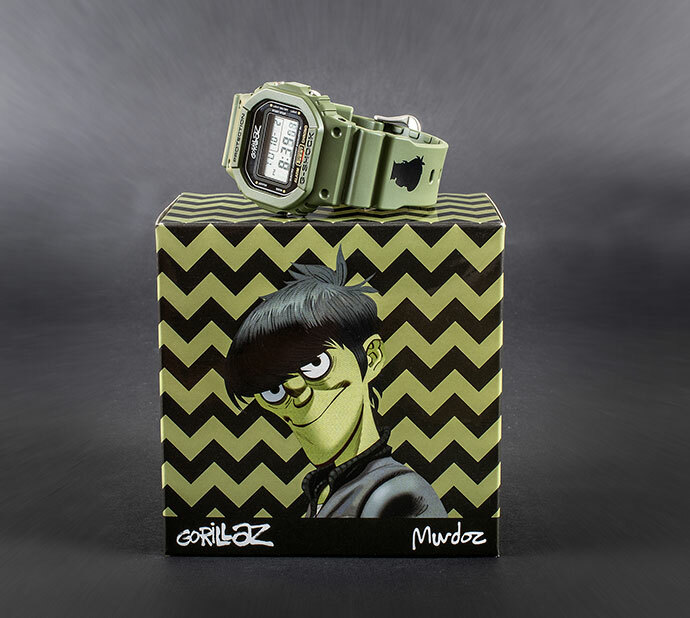 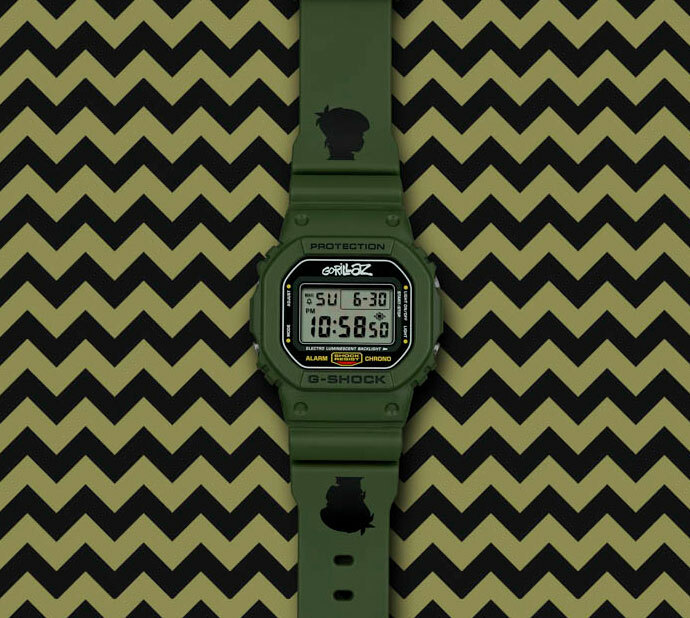 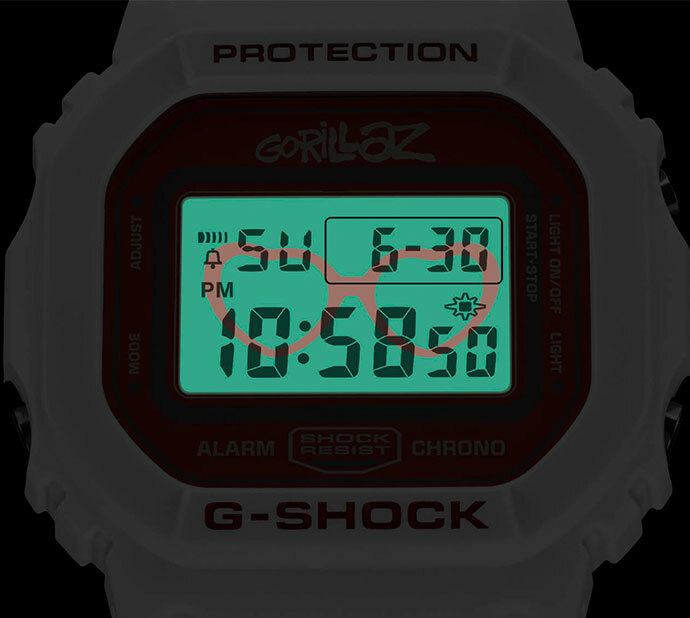 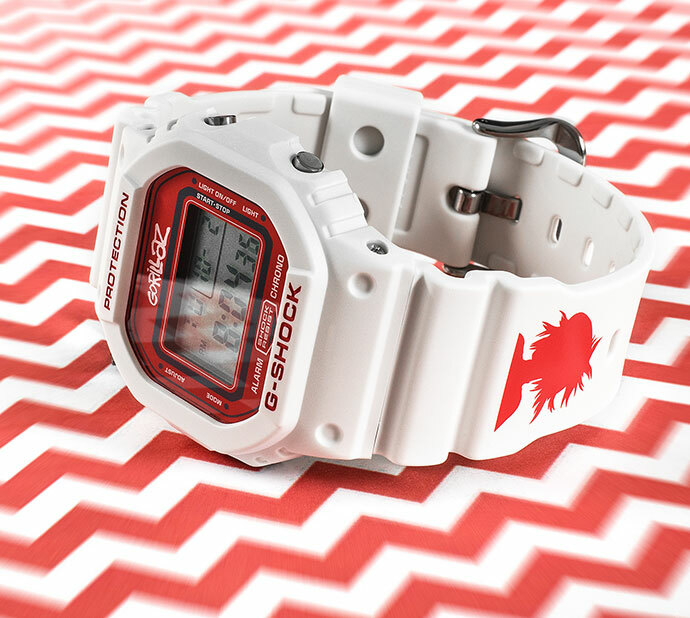 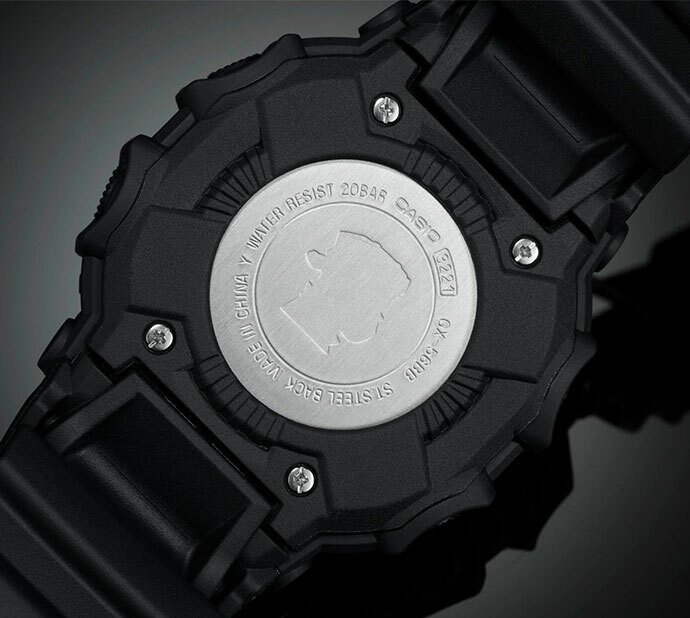 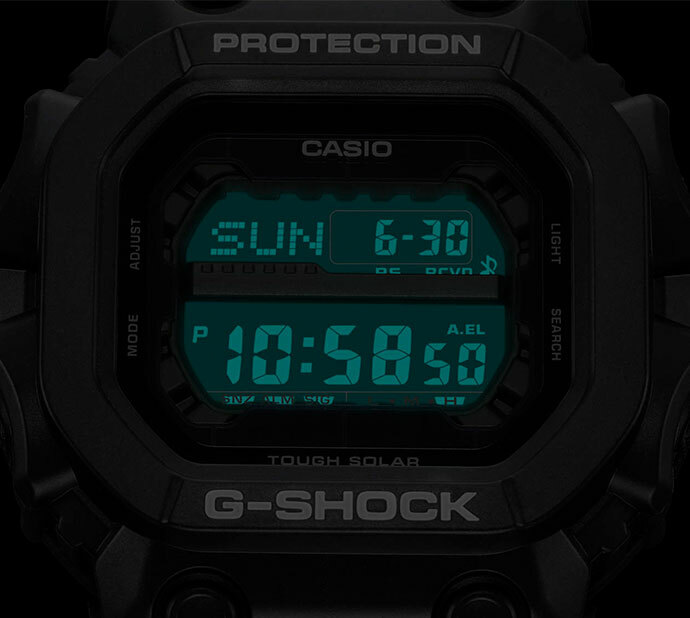 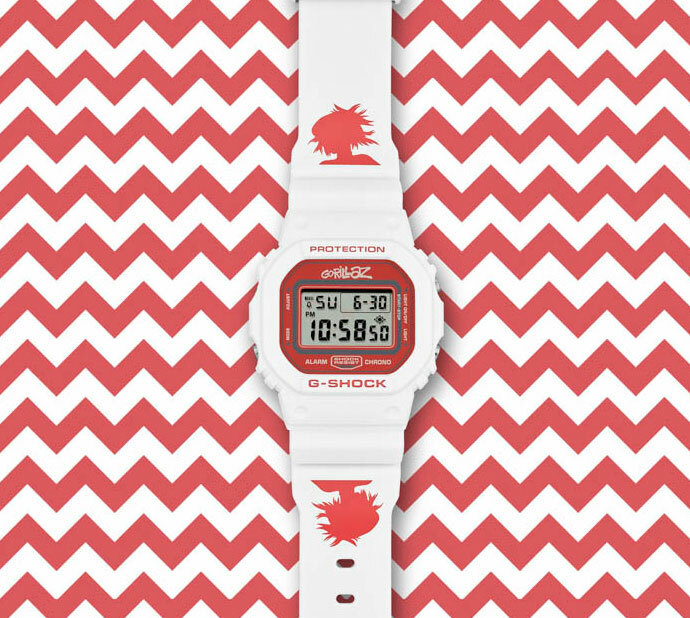 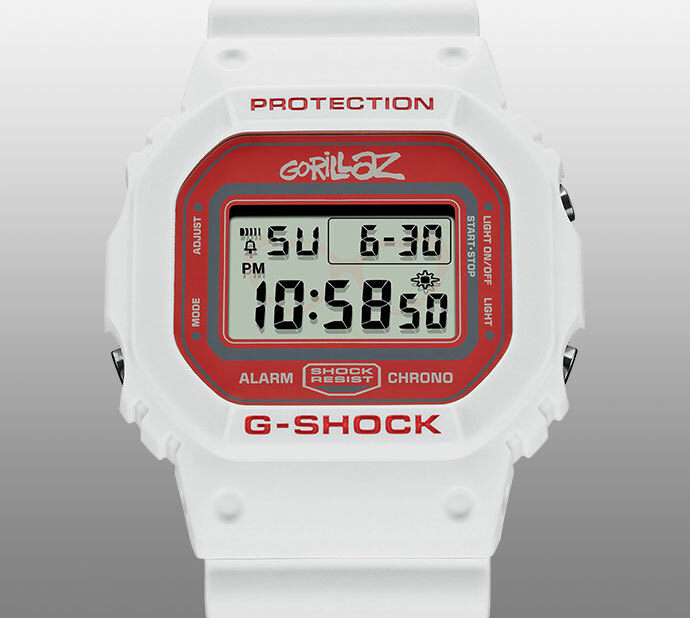 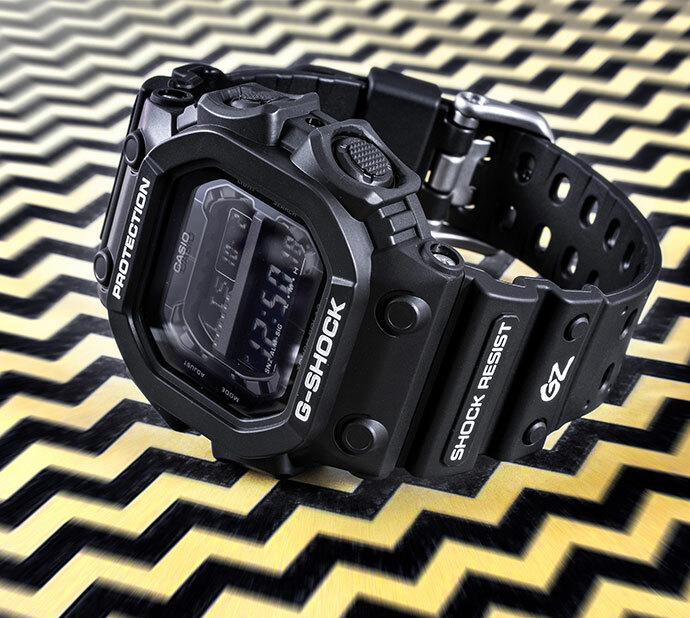 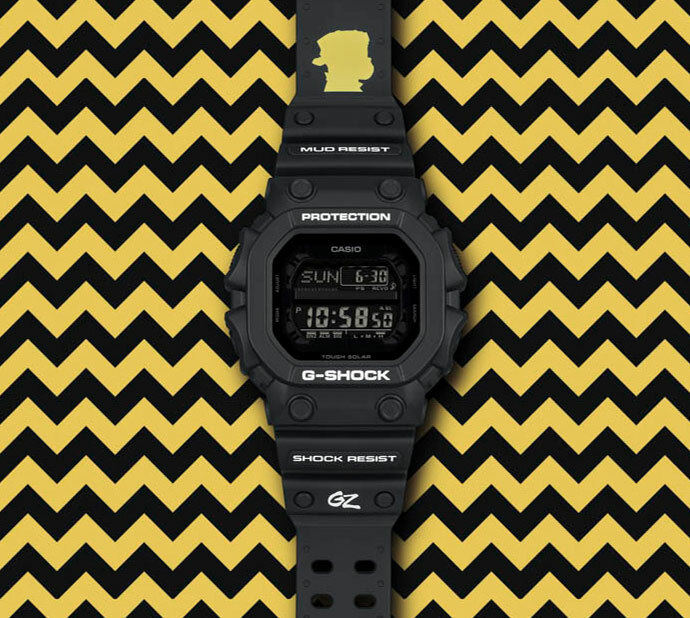 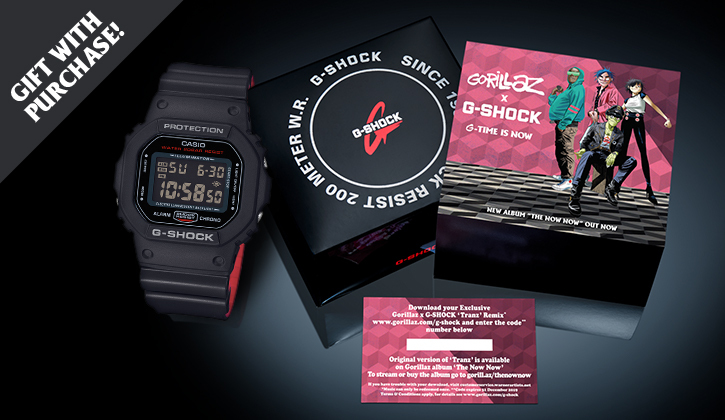 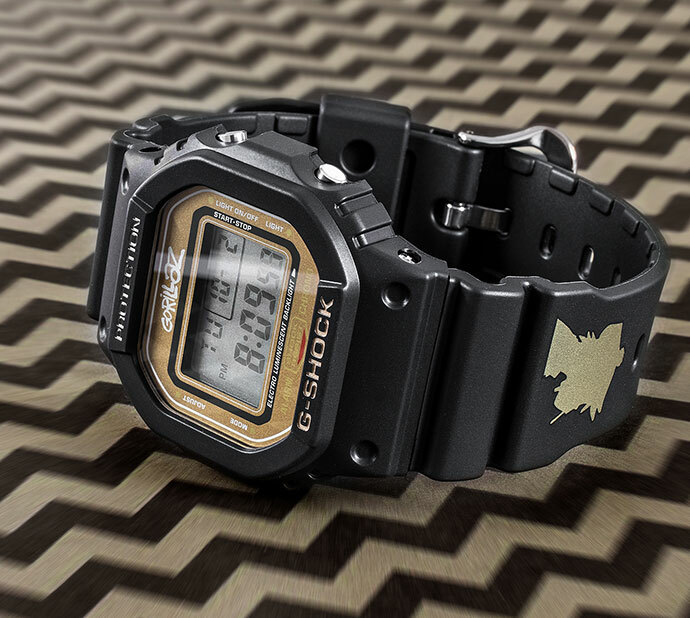 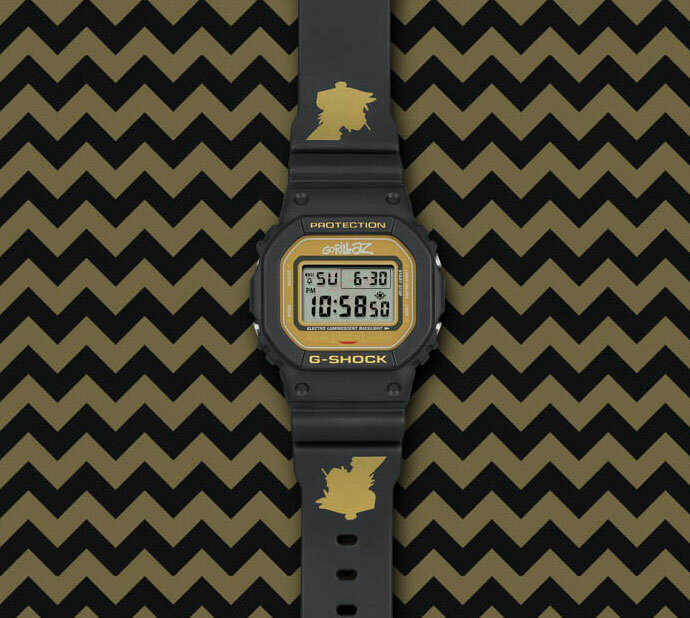 Get this special bundle: The DW-5600HRGRZ-1ER is now available as special edition with an exclusive Gorillaz X G-SHOCK „Tranz“ Remix* by DJ Sibot – only while stocks last! 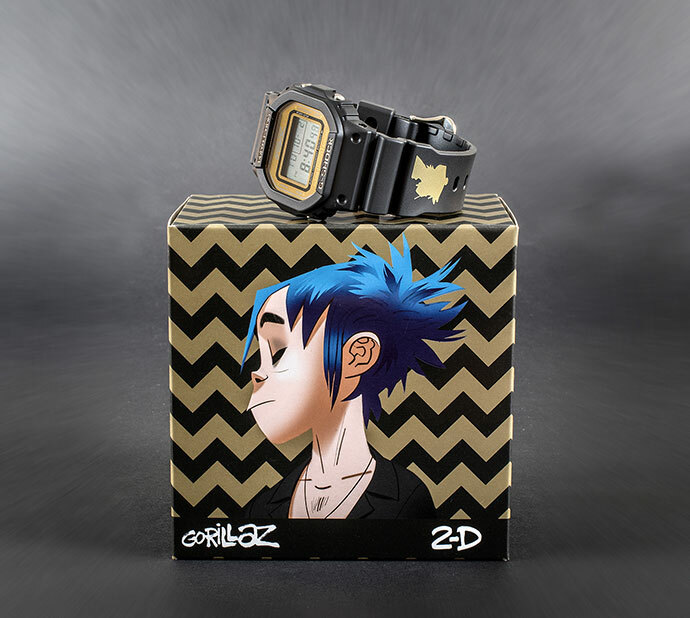 * The download code is in the box and can be used until November 30, 2019.